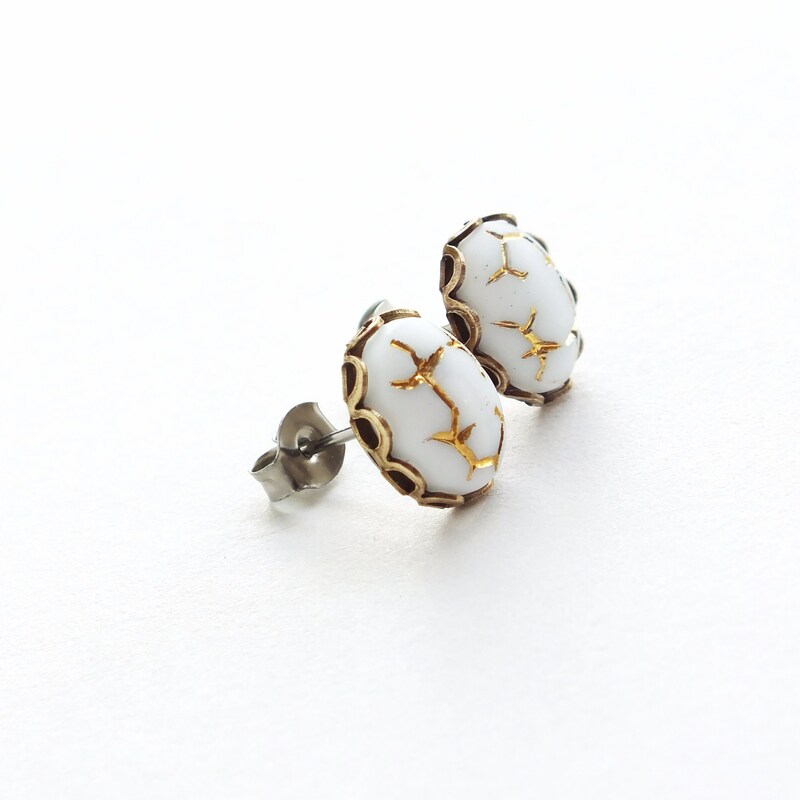 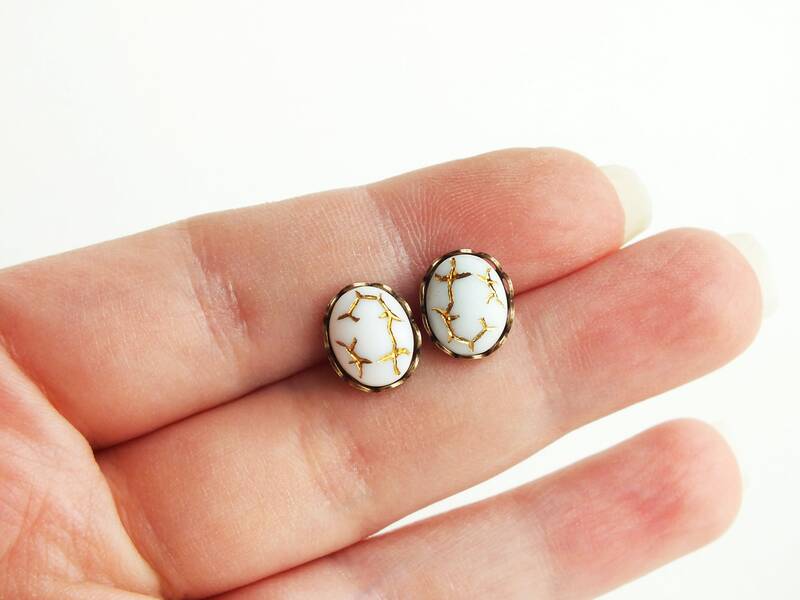 Handmade white studs with vintage matte glass gold crackle cabochons. 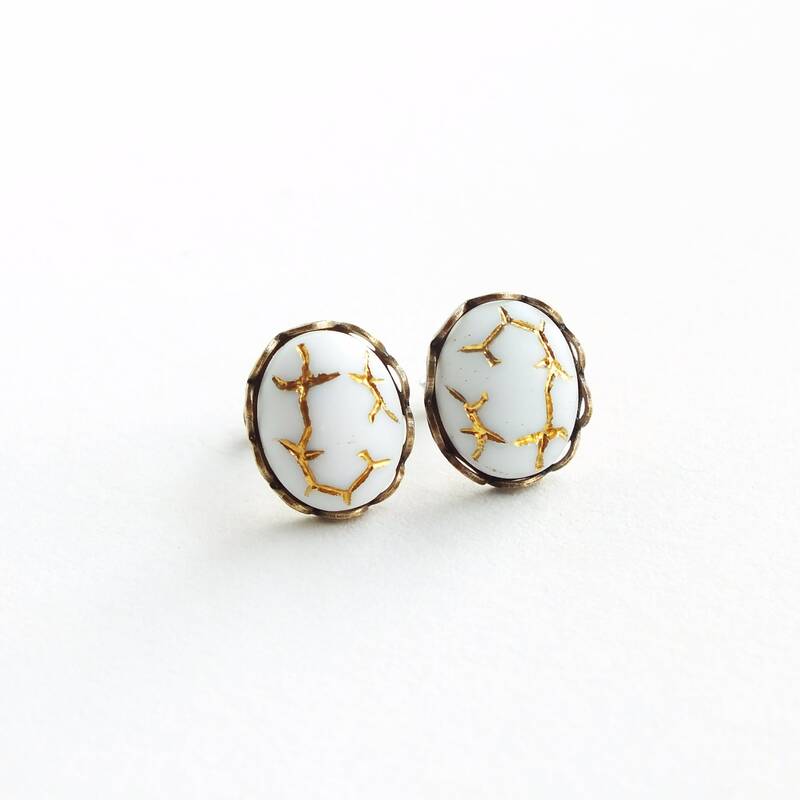 Made with beautiful vintage matte glass cabochons in a crisp white with etched gold crackles. 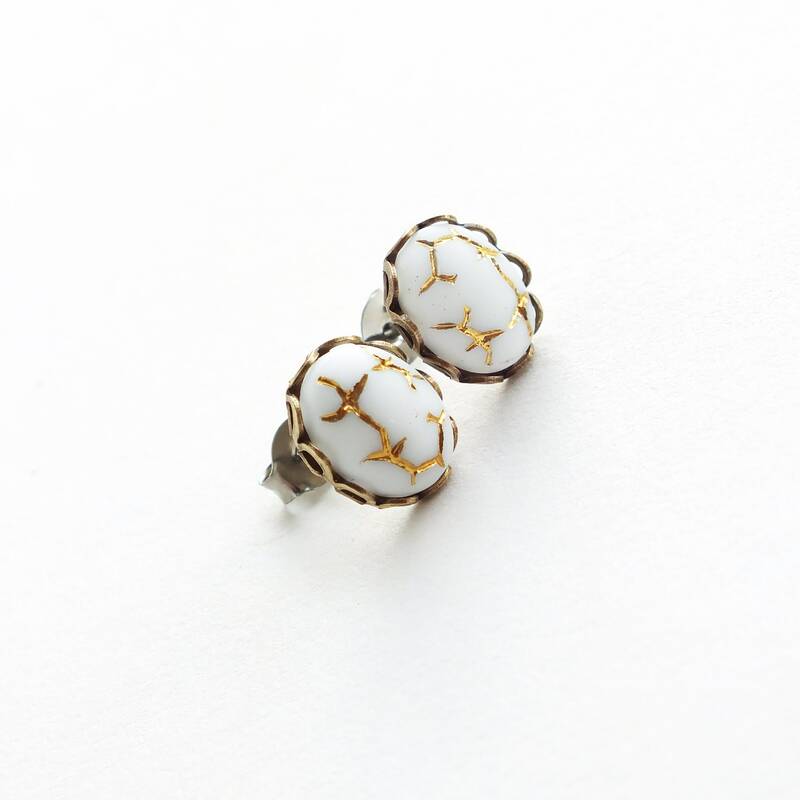 Set in lacy antiqued brass settings secured to hypoallergenic posts.